Morris Industries, Inc. has been serving the Middletown community for over 60 years with our custom steel pipe fabrication services. 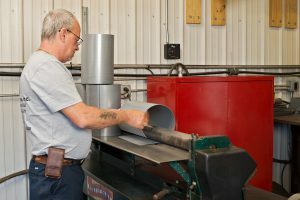 Our team of experts offer many products and services to the Middletown community but we are primarily known for our steel pipe fabrication services. We have been offering our expertise in the steel pipe fabrication industry since we opened our doors back in 1958. The professionals at Morris Industries, Inc. are fully capable to offer assistance with any sized steel pipe fabrication project. We are proud to offer affordable and quality steel pipe fabrication services to our customers in the Middletown area. To find out more about Morris Industries, Inc. and our steel pipe fabrication services in Middletown, please call us today at 860-349-1777. You can also get in contact with one of our knowledgeable representatives by simply filling out the online request form on this page. At Morris Industries, Inc., we offer quality service and timely delivery on our steel pipe fabrication services in the Middletown area. Our team of steel pipe fabrication experts ensure the quality of the products that we have to offer through extensive inspection and tests on our inventory of products. Our steel pipe fabrication services are done at our state-of-the-art facility using multiple lines equipped with the latest threading technology and production pipe handling systems. Besides our steel pipe fabrication services, Morris Industries, Inc. offers pipe threading, pipe cutting and pipe beveling services to our customers in Middletown. The experienced professionals at Morris Industries, Inc. can answer any questions regarding steel pipe fabricating . The professional steel pipe fabricating experts at Morris Industries are capable of providing services per our customers’ request. Our steel pipe fabricating services are affordably priced to suit our customers budget. Our unparalleled customer service and support is unmatched in the industry and makes Morris Industries, Inc. the clear-cut choice for steel pipe fabricating in Middletown. For more information regarding the steel pipe fabricating services available in Middletown, please call Morris Industries, Inc. today at 860-349-1777. You may also reach out to one of our knowledgeable representatives with any questions by simply filling out the online request form on this page.